Self induced as during cleaning. Blast injuries; compression and rarefaction waves. Otalgia (pain in the ear). Bleeding per ear (does not clot if mixed with CSF). T.M perforation (see the table). 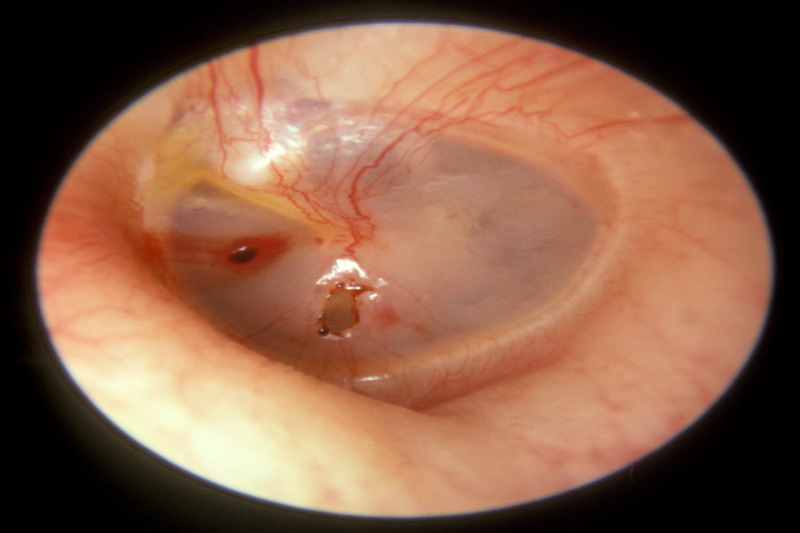 Blood clots in external auditory canal EAC. - Systemic antibiotics, nasal decongestants & avoid nose blowing. - In most cases it heals spontaneously. Myringoplasty in persistent perforation (after 6 months).